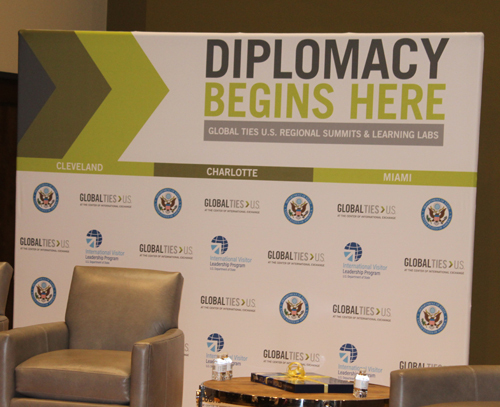 Global Ties U.S. and its members, in partnership with the U.S. Department of State, are hosting a series of Diplomacy Begins Here Summits across the United States to bring together local, national, and international leaders from the business, government, and nonprofit world. 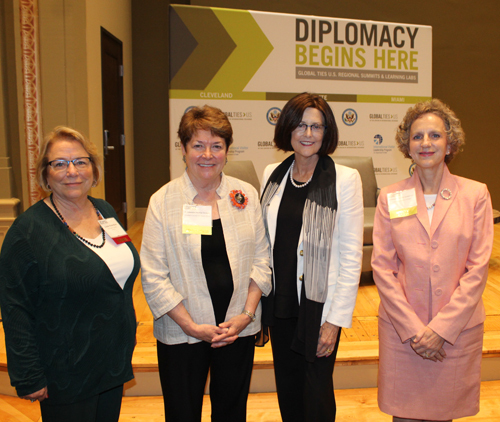 The Cleveland Council on World Affairs (CCWA) celebrated women in leadership in Northeast Ohio through the Diplomacy Begins Here: Women Who Rock the World Summit on Thursday, June 28, at the Drury Plaza Downtown. 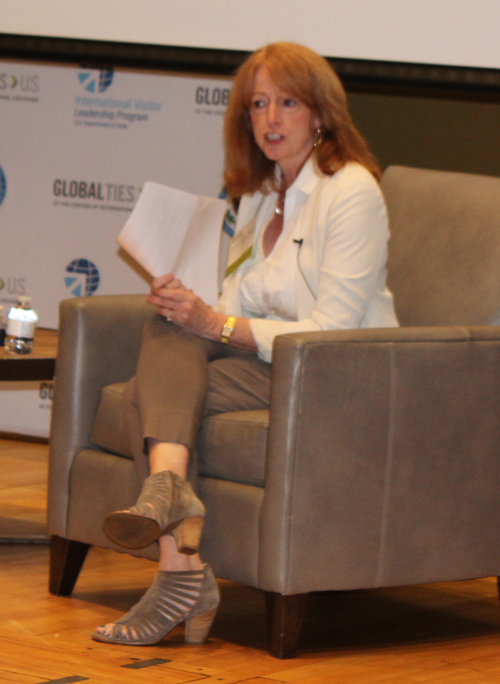 In partnership with Global Ties U.S. and the U.S. Department of State, CCWA welcomed local leaders in civil society, government, and business, along with leaders in international exchange programming throughout the country, to highlight our region's public diplomacy initiatives and specifically how women have played a key role as Citizen Diplomats. Foreign Policy Briefing over lunch featuring Marta Costanzo Youth, Director, Bureau of Population, Refugees, and Migration at the U.S. Department of State, who explored the U.S. government response to the Venezuelan migration and refugee situation. 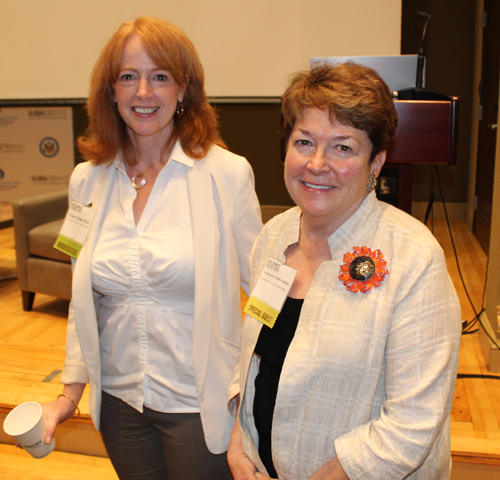 And, of course, networking and mingling with people who are passionate about international affairs and diplomacy! 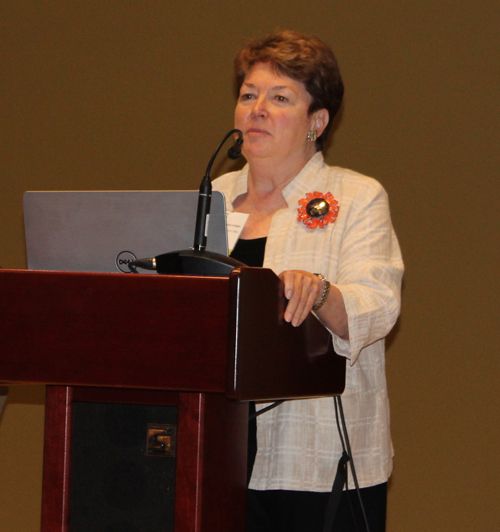 The day began with a welcome from Ambassador Heather Hodges, President of CCWA. 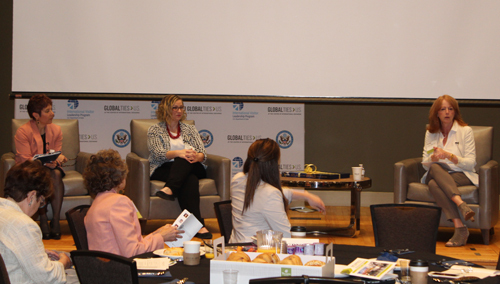 Ambassador Hodges introduced Ambassador Jennifer Zimdahl Galt from the US Department of State. 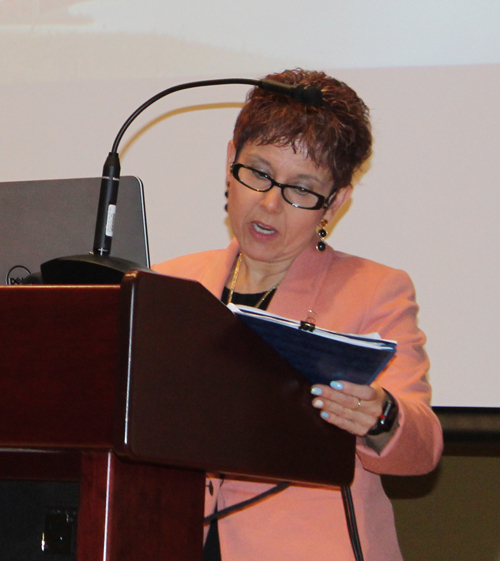 Ambassador Jennifer Zimdahl Galt from the US Department of State gave her introductory remarks. 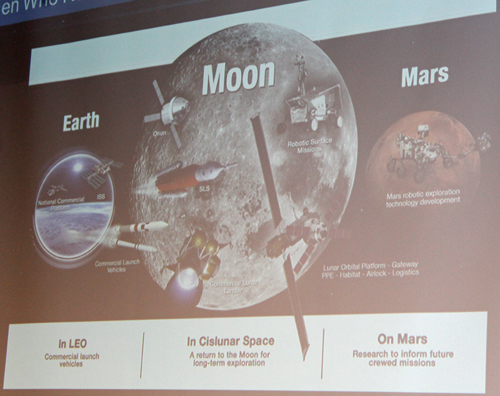 The morning keynote was given by Dr. Marla Perez-Davis, Deputy Director of NASA John H. Glenn Research Center. 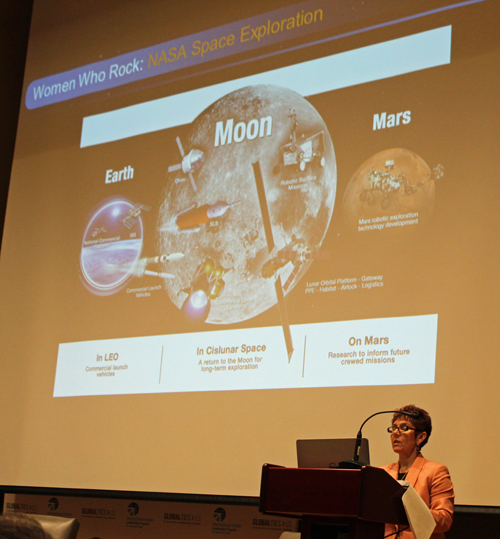 She highlighted some of NASA's work and discussed women in STEM and presented some interesting statistics. 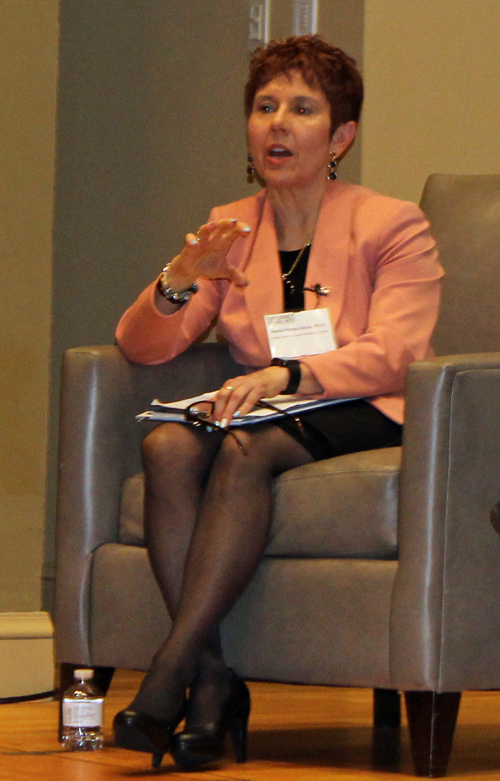 Next, Dr. Evalyn Gates, former CEO of the Cleveland Museum of Natural History, moderated a panel title Women in STEM. 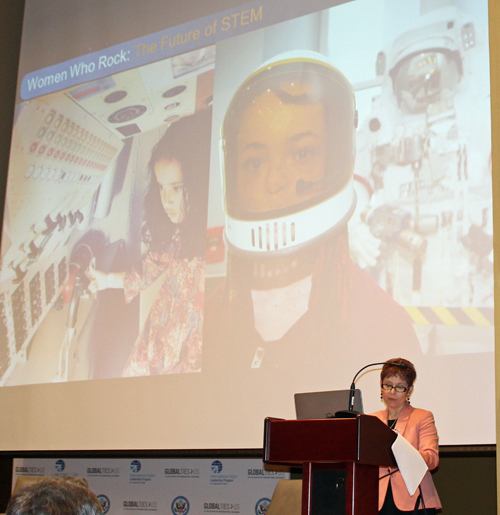 The panelists were Feowyn MacKinnon, Head of School of MC (squared) STEM High School and Dr. Marla Perez-Davis, Deputy Director, NASA Glenn Research Center. 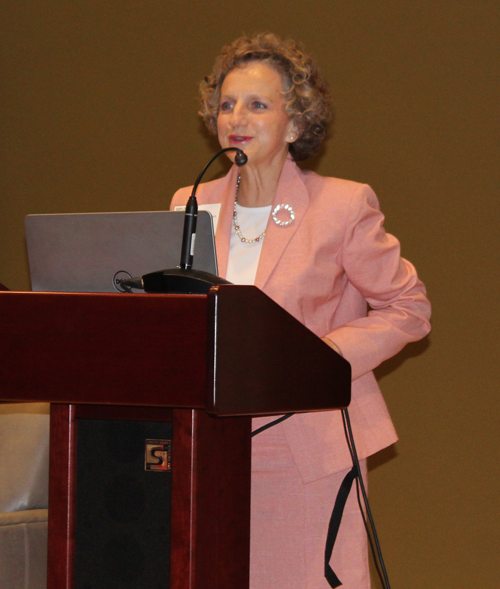 After an introduction by Dr. Gates, Ms MacKinnon gives her views as seen in this video. 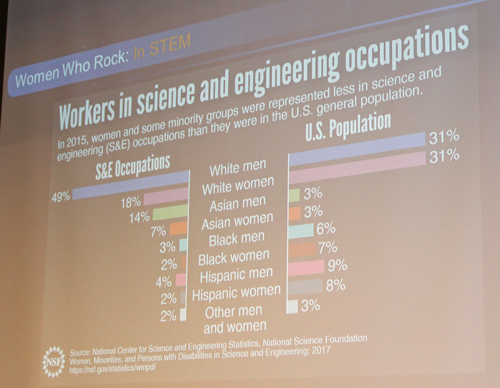 Next, Dr. Perez-Davis shared her thoughts on women in STEM. 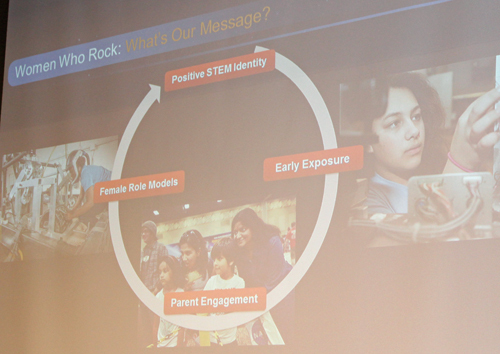 Dr. Gates asked the panelists if girls really understand the power of STEM and how it can change the world. 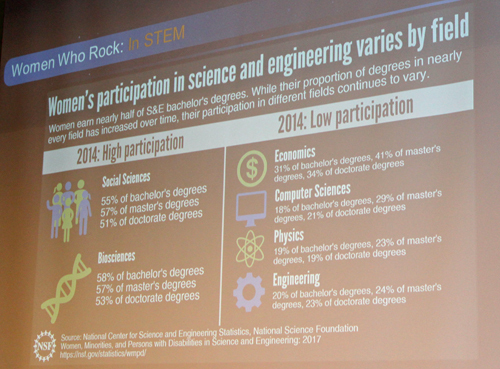 An audience member asked the panel if there are still barriers to steer girls away from STEM. 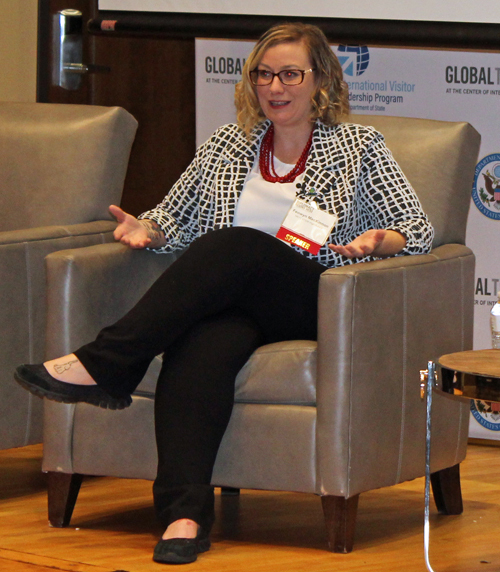 Another audience member asked what the US State Department's policy is regarding empowering women and girls and Ambassador Jennifer Zimdahl Galt from the US Department of State gave her response. 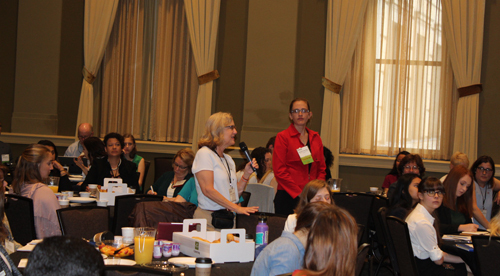 Here are the closing remarks from the Women in STEM panel. This was just the beginning of a full day of the Diplomacy Begins Here: Women Who Rock the World Summit. 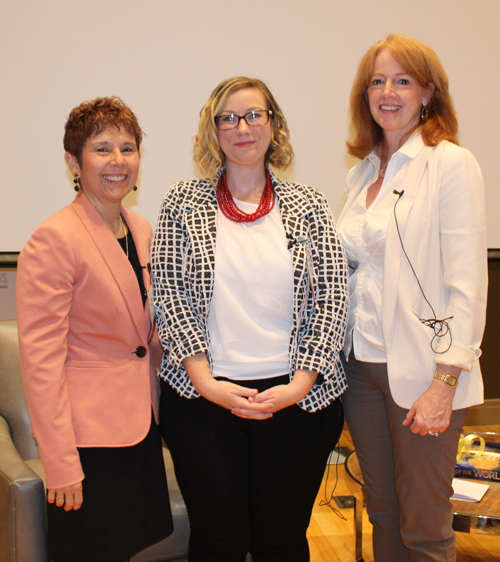 Congratulations to the staff, speakers and attendees for this important event.